HALT and HASS are two different kinds of tests but are similar in that they help manufacturers determine defects and weaknesses in product design and construction. HALT stands for Highly Accelerated Life Testing, and HASS stands for Highly Accelerated Stress Screening. The idea behind these tests is to expose products to accelerated stresses, or extreme testing conditions, to more quickly discover weaknesses. These tests drastically reduce the time to failure, which allows manufacturers to more rapidly identify and address problems. While HALT and HASS may be similar, it is important to understand their differences. The HALT process is utilized to discover flaws and weaknesses during a product’s design phase. Typically, the HALT process is repeated over and over until no further weaknesses can be found or until the remaining weaknesses are no longer cost-effective to resolve. HALT chambers expose product prototypes to a diverse range of accelerated stimuli, including extreme temperatures, vibrations, humidity, radiation, and other conditions. In this way, manufacturers not only discover weaknesses but also discover operating limits and destruct limits. Utilizing HALT processes can drastically reduce design time and costs while improving reliability. On the other hand, the HASS process is used during the production phase. Instead of finding design flaws, this process helps manufacturers find flaws or defects in the manufacturing process. It is generally recommended that HALT be performed prior to using the HASS process, since without the knowledge gained from the HALT process, it is difficult to determine the stress levels that should be applied in HASS. 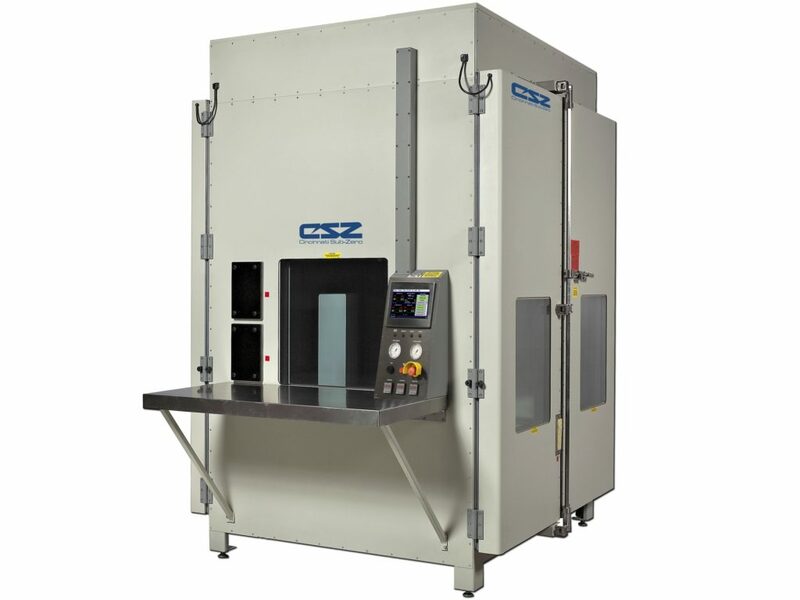 During a HASS test, products are exposed to accelerated stresses which surpass the products specifications which were determined in previous HALT testing. Like the HALT process, these accelerated stresses shorten the time to failure and therefore, decrease the time to take corrective action. Defects can be caught much earlier and can be corrected before any products are shipped out to customers. Product testing with HALT/HASS chambers is incredibly important for manufacturers in practically every industry. They significantly reduce product development time and allow products to make it to market much more quickly. HALT and HASS testing also increases profitability, catching defects earlier in design and production and saving money spent on creating flawed products. Additionally, manufacturers can expect reduced warranty costs due to improved product reliability. In turn, improved product reliability will also lead to improved customer satisfaction, making it easier to maintain a customer base and to gain new customers. All in all, HALT & HASS test chambers provide impressive benefits to both manufacturers and customers, and they will help lead to longer lasting and higher quality products. HALT HASS Test Chambers HALT & HASS test chambers are types of equipment used to test the reliability and life span of all kinds of products.